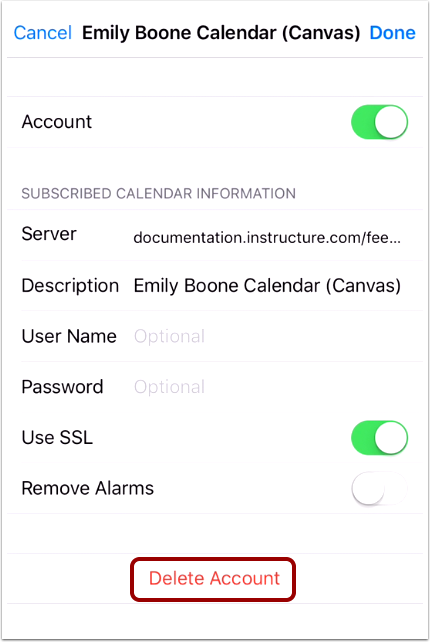 How do I unsubscribe from the Canvas calendar on my iOS device? You can unsubscribe to calendar items for all your courses. 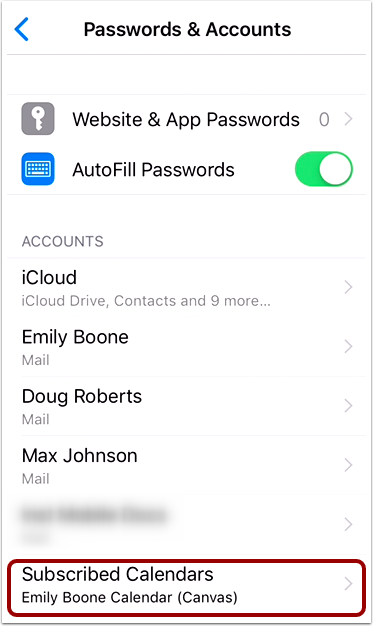 On your iOS device, tap the Settings icon. 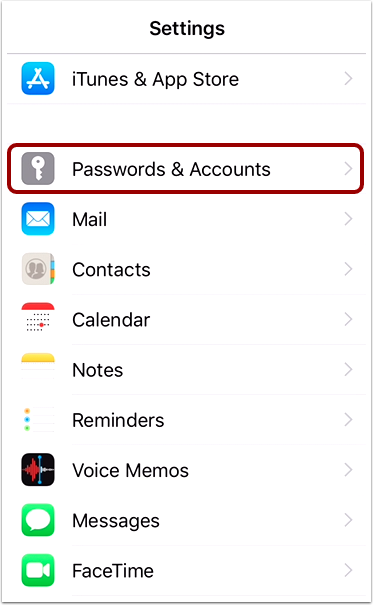 Tap the Passwords & Accounts link. Tap the Subscribed Calendars link. Tap the name of your Canvas profile calendar. 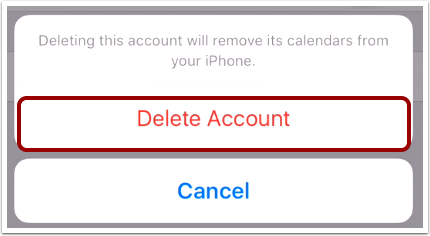 Tap the Delete Account button. Previous Topic:How do I subscribe to the Canvas calendar on my iOS device? Next Topic:How do I view Conversations messages in the Student app on my iOS device? Table of Contents > App Features > How do I unsubscribe from the Canvas calendar on my iOS device?